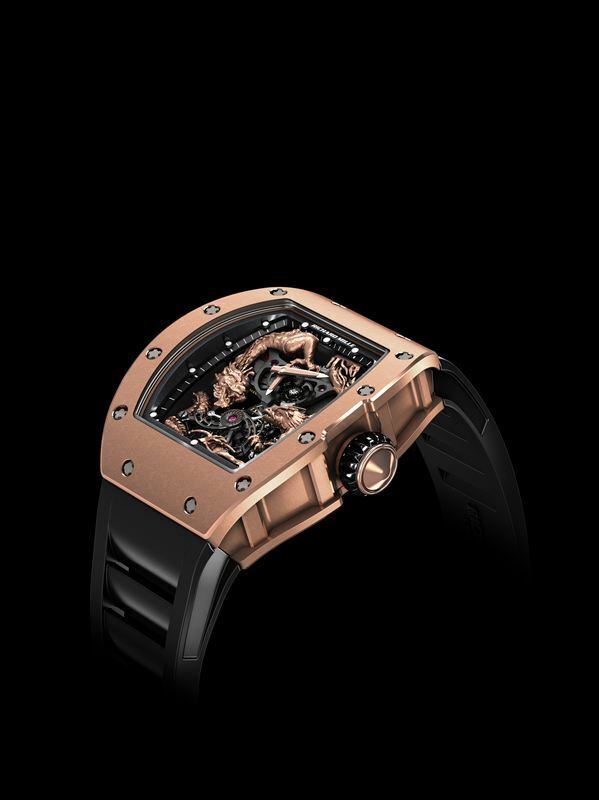 Leave it up to Richard Mille to create “watches and wonders”! At the Hong Kong exhibition that bears this name, he introduces not one, but two new tourbillon watches, both limited editions, and both wonders of watchmaking! 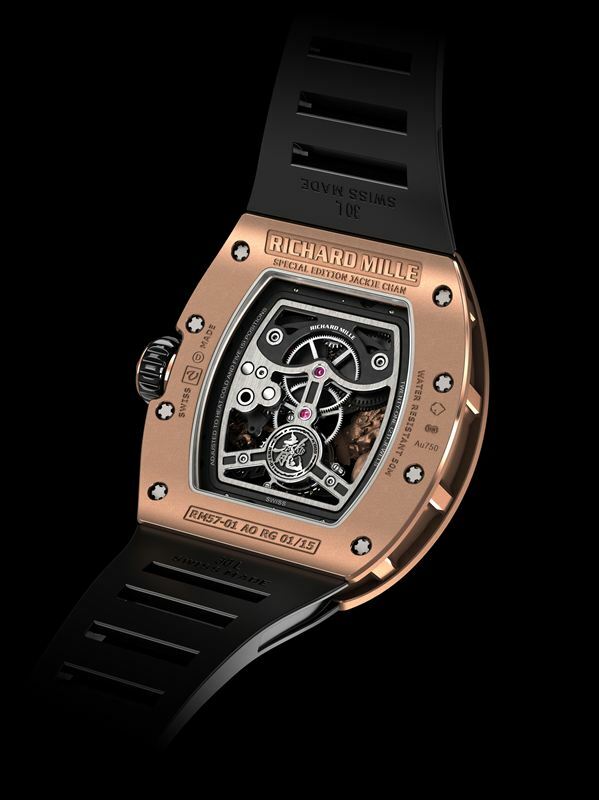 With the new RM 56-02 Sapphire, Richard Mille takes a new step in making its watches as transparent as possible. Featuring a completely new tourbillon movement, that shares some idea’s of the cable suspended movement that could previously be found in the stunning RM 27-01 Rafael Nadal. It is that suspended, complex movement within the sapphire case that makes this watch so breathtakingly beautiful. It’s seemingly fragile and high tech at the same time. Seemingly fragile indeed because the synthetic sapphire crystal that Richard Mille uses combines an extremely high melting point of 2,303 Kelvin with a minimal thermal coefficient, which in layman’s terms means that even when pushed into the extreme’s this watch will not only hold up, but also keep looking good since its resistance to abrasion is eight times higher than that of steel. The fact that the whole movement is connected to the case by nothing but wires is an attraction by itself. Of course the fact that there is a tourbillon suspended into the air makes it an even larger attraction, but quite frankly even a “normal” Richard Mille time-only movement would have been amazing. What makes it even more amazing is that the wires that hold the movement are actually braided steel cables with a diameter of just 0.35mm. They are held by a tensioners and pulleys, ensuring that the movement will retain its position. At 12 o’clock there is even a tension indicator on which the owner can check and see if the tension is still within the preset limits. 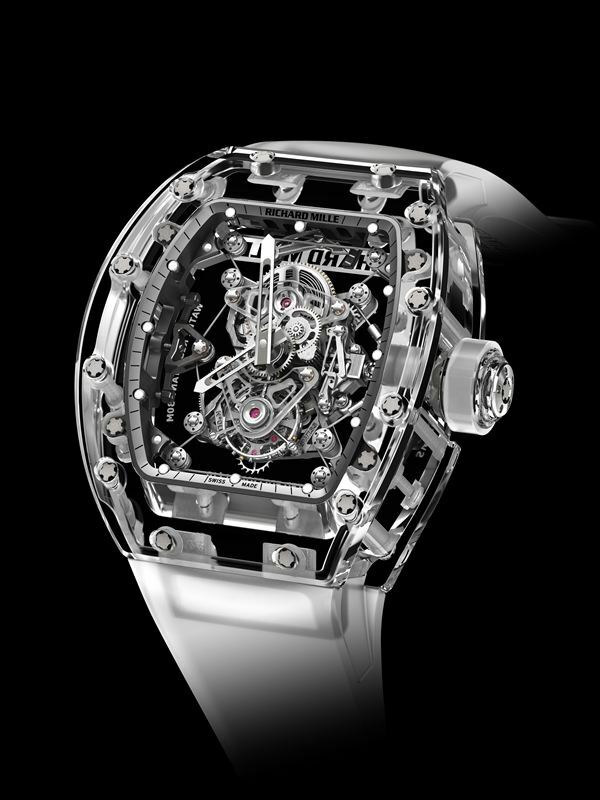 Richard Mille will only produce 10 pieces of the balancing act that the RM 56-02 Sapphire is! Richard Mille has always been perceived as a very technical brand, and this is hard to deny when you just discussed a watch like the RM 56-02. 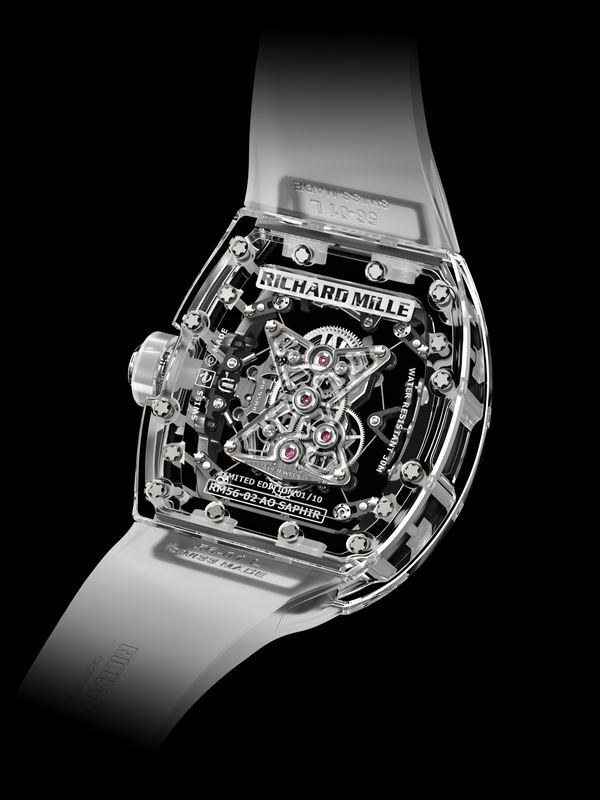 But there is also another side of Richard Mille, one that is founded on his substantial jewelry background. It is from that background that the new RM 57-01 Phoenix and Dragon-Jackie Chan is created. 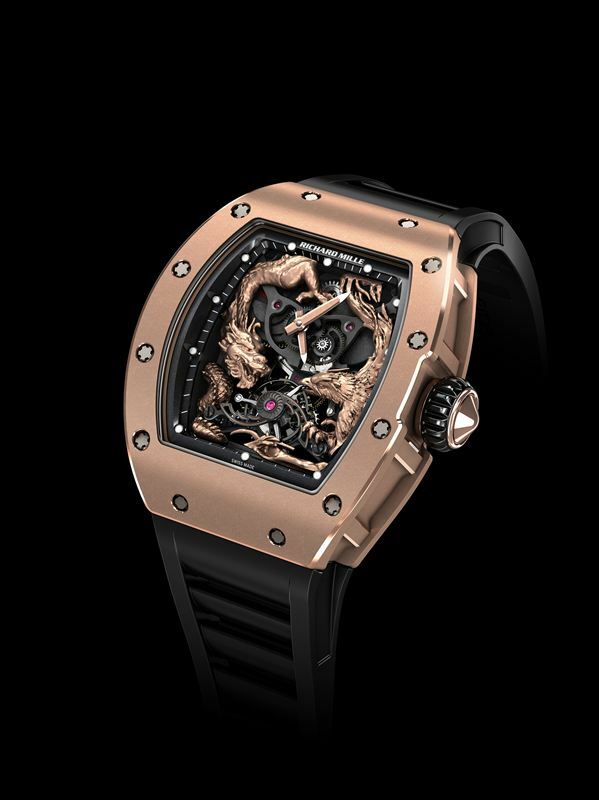 Here the technical prowess of Richard Mille is pushed to the background by two powerful mythical creatures, two of the ‘Four Supernatural Spirits’; the Dragon and the Phoenix, who when seen together symbolize great fortune and luck. Luck plays however no part in the creation of them. To carve them out of the gold and bring them to life requires great skill, craftsmanship and patience. Especially since both the animals seem to interact with the movement itself, using it as the terrain on which they live. This is a limited edition of 15 pieces in 18K white or red gold and certainly the RM 57-01 Phoenix and Dragon-Jackie Chan, shows a whole other level of Richard Mille’s ability to innovate, yet for both watches the question remains; are they watch or wonder?